Leaves. Is that what those are? It’s Friday morning and I’m staring at the Bonanza’s laminated kitchen countertop, which, I’ve never noticed before, is patterned to look like decaying fall leaves. I have never touched a surfboard in my life. Or to be more correct, had never touched a surfboard in my life, until Monday morning when I was climbing aboard a 11 1/2-footer, with the owner of Adrift Tahoe Marcus Tingle at my side supplying words of encouragement. Imagine, if you will, a little boy alone in the dark. Hands balled tight into fists because the sensation of touch hurts desperately, mouth closed tight because it is too sensitive for food, ears covered with those balled fists because even gentle raindrops sound like gunfire. Vacations. What’s better than hopping a plane or train or hitting the road to a place where the mountains and water stretch to meet the horizon? Or sitting on a warm beach in the sun, hiking or just taking a break from answering the 50 e-mails an hour you receive. But luggage can be lost and planes arrive late. Airports are crowded and people are pushy. Passports are stolen and children whine incessantly. 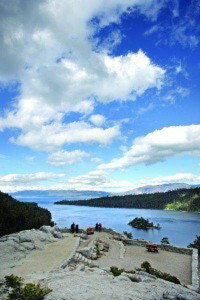 So this summer buy a few gallons and take a drive around the lake — appropriately named “The Most Beautiful Drive in America.” …. 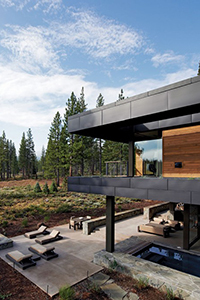 “We were not a Tahoe family,” says the female homeowner of this sprawling Martis Camp retreat, who elected to remain anonymous. Despite their time in college at Stanford, she and her husband had traveled to Tahoe maybe once, she notes. With their life and family firmly established in Los Angeles, they were looking to build a second home in Montecito, California, when the husband was invited on a Tahoe golf trip in 2009. “He came here, and he fell in love with it,” she says. They say a picture’s worth a thousand words; I think that often one snap of the shutter can fill an entire book, or sometimes, even a library. How many times have you seen a photo that caught your attention, took your breath away or turned your world upside down? Photos can affect us deeply and portray the entire spectrum of humanity. We inform people, express an idea, thought or emotion, celebrate life and the world around us. From the dawn of my motor skills, I was always creating. I used to draw constantly as a small girl, sitting on the kitchen floor at my mother’s feet. Did I draw houses with curlicue smoke coming from a chimney, or happy families of stick figures labeled boldly with the rough penmanship of a toddler? For the life of her my mom couldn’t figure out what I was drawing. It was a little unconventional: unique angles and shapes adorned each paper, and always the same two ovals, one slightly larger than the other. After seeing the same seemingly abstract image many times over, she figured it out. Sitting on the floor, I was drawing my world exactly as I saw it. That was the day she learned she has one nostril that’s a little bigger than the other. I have been relatively inseparable from the arts my entire life: earning awards, painting murals, learning from my medical illustrator father. In high school and college I studied almost every visual art available, and graduated from the University of Puget Sound in May of 2007 with a Bachelor of Arts in, well, art. 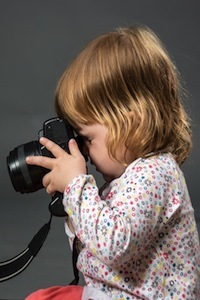 During my time at UPS I met the love of my life—photography. I was absolutely taken, and went for walks around the north end of the city day after day, teaching myself, experimenting, exploring my limits and the camera’s. Before I applied to be a staff photographer at the student newspaper senior year I had already decided I wanted, and needed, to be a photojournalist. I didn’t know much about the profession, but I did know, somehow, that I had found my career. By 2007 I had tired of the rain and darkness of the Pacific Northwest, and longed for the wide-open spaces, sunshine and mountains of Nevada. Within a week of my return, I walked into the office of my local newspaper, the North Lake Tahoe Bonanza, and sat down with the editor. The title “unpaid intern” doesn’t sound nearly as gratifying as it is. I did it for my love of photography and my burgeoning love of journalism. As I rose from unpaid intern to reporting intern, to staff photographer by the fall of that year, I knew I had made the correct choice. Sacrifice is necessary for accomplishment. Working as a journalist means being a part of something bigger than yourself. Serving the community and your readers, showing everyday life in a small town, telling a story in a single frame, sacrificing personal comfort, and occasionally safety, to get that one shot, and earning recognition for your hard work—I loved it all, and threw my entire self into the job for the next two years. During my tenure at the Bonanza, I had the pleasure of covering almost every kind of event imaginable. Bill Clinton came to town for an environmental summit. Dogs jumped into the local pool, en masse. My hometown held its inaugural Independence Day festival. Bears came and went, and some were deemed nuisance and euthanized. 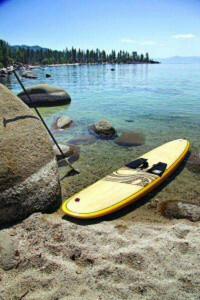 Locals surfed a wind-whipped Lake Tahoe. Wildfires blazed. There were plane crashes and fatal accidents to cover, and many disaster scenarios. In the winter I photographed people sledding, having snowball fights, kite skiing or digging out of epic snowfalls. I took pictures of all ages of students doing every sport imaginable, graduating from nursery or high school, learning, helping, growing. I photographed my community and its issues, from picnics to poor living conditions in local trailer parks. 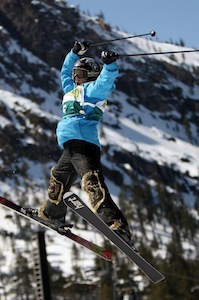 I photographed the XTERRA USA Championships, the Dew Tour and the US Freestyle Championships at Squaw Valley. And I photographed many, many people. I attended events, took photos, wrote stories, columns and features, and provided content on a regular basis for the Sierra Nevada Media Group’s many special publications, as well as its other newspapers. From summer 2008 through spring 2009 I had two pages of my photographs published twice a month in the national Forbes publication, Mountain Time. Mentorship from a few experienced, incredible photojournalists, and the wealth of knowledge and enthusiasm possessed by my peers at the Bonanza, all classically-trained journalists likewise fresh from college, helped me grow into a serious photojournalist, despite my lack of formal training. Throw in two years of experience working not only weekdays but late nights, holidays and weekends, and I’m more in love than ever. I guess everything just looks better through a lens. Anyone can press a button, but not everyone can capture an image that strikes the viewer with awe, makes him smile, weep or think. Artistic expression may run through my veins, but so does my desire to show the truth, capture genuine emotion and tell a story with a single shot. I remember researching the Holocaust in seventh grade. I flipped through page after page of images in which emaciated bodies lay heaped like piles of dirty laundry along European roadways. The images, their sadness and loss, will never leave me. The words those photos hold would fill enough books to bury us. But hopefully they hold enough to enlighten us too. How many words would it take to describe those legendary images of man walking on and planting an American flag in lunar soil? The years of hard work and Cold War competition, the sacrifice, failure, victory, and above all, hope, that millions of viewers felt as they watched the live feed with bated breath? Some images can usher in a new era of thinking, dreaming, doing. A photograph can say it all. Eloquently, with a sense of duty that words often lack. It doesn’t have to be a monumental victory for the human race or a turning point in history. But one glance, one moment, can be preserved forever and can hold more truth than any number of words.